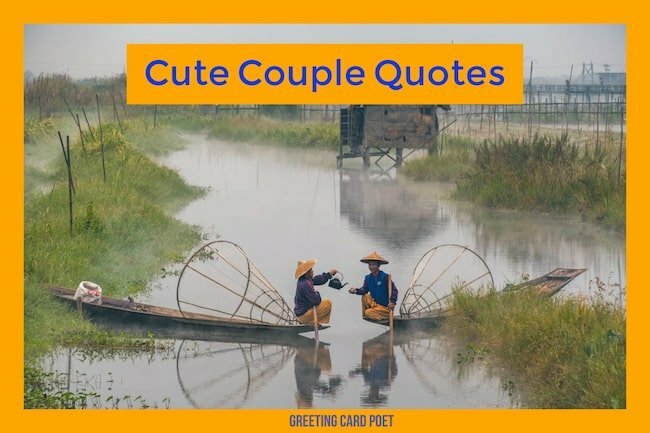 Nothing can be sweeter than our cute couple quotes to express your affection. If you are a happy couple, you should count your blessings. And, you definitely let your partner know what you think. Express your positive feelings. Unspoken words are likely the source of as many marriage break-ups as those said. The perfect pair, the terrific twosome and the dynamic duo are relationships that take some work. A big part of successful relationships is communications. We’re here to help you. Find out what some the bright minds have to say about being a lovely duo. 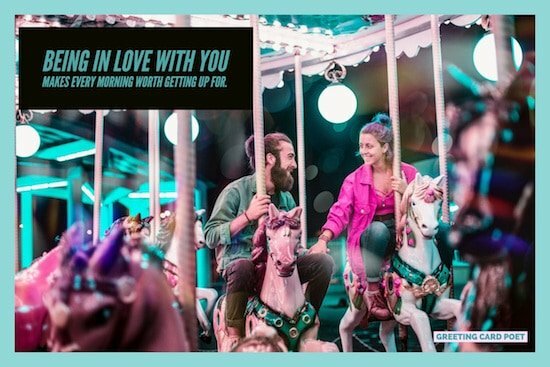 You can learn from these quotes and strengthen your relationship. 1) I believe that two people are connected at the heart, and it doesn’t matter what you do, or who you are or where you live; there are no boundaries or barriers if two people are destined to be together. 2) If you want a relationship that looks and feels like the most amazing thing on earth, you need to treat it like it is the most amazing thing on earth. 3) When I am with you I feel perfect. 4) The meeting of two personalities is like the contact of two chemical substances: if there is any reaction, both are transformed. 5) If they’re together long enough, every couple has one conversation over and over. This was ours. 6) Those two are a fastidious couple. She’s fast and he’s hideous. 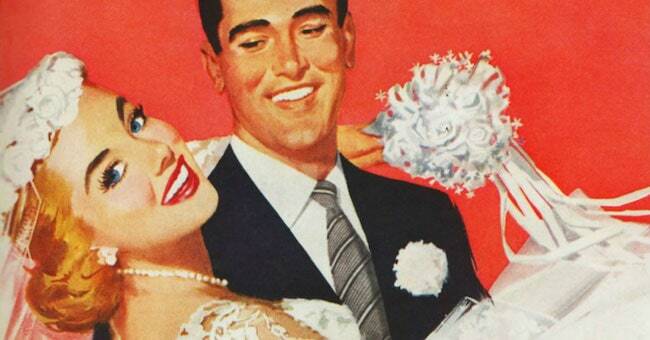 7) Unmarried couples should get married — that’s an excellent tax avoidance measure, if a bit drastic. 8) We are all a little weird and life’s a little weird, and when we find someone whose weirdness is compatible with ours, we join up with them and fall in mutual weirdness and call it love. 9) The couples that are ‘meant to be’ are the one who go through everything that is meant to tear them apart and come out even stronger than they were before. 10) Every couple has ups and downs, every couple argues, and that’s the thing’you’re a couple, and couples can’t function without trust. 11) The best thing to hold onto in life is each other. 12) No human relation gives one possession in another―every two souls are absolutely different. In friendship or in love, the two side by side raise hands together to find what one cannot reach alone. 13) The gods granted us misery, in jealousy over the thought that we two, always together, should enjoy our youth, and then come to the threshold of old age. 14) No road is long with good company. 15) Ideally, couples need three lives; one for him, one for her, and one for them together. 16) When two people are meant for each other, no time is too long, no distance is too far, no one can ever tear them apart. 17) Relationships are eternal. The separation is another chapter in the relationship. Often, letting go of the old form of the relationship becomes a lesson in pure love much deeper than any would have learned had the couple stayed together. 18) A relationship is like a house. When a light bulb burns out, you don’t go and buy a new house. You fix the light bulb. 19) Love is when the other person’s happiness is more important than your own. 20) Great relationships aren’t great because they have no problems. They’re great because both people care enough about the other person to find a way to make it work. 21) A perfect marriage is just two imperfect people who refuse to give up on each other. 22) You don’t develop courage by being happy in your relationships every day. You develop it by surviving difficult times and challenging adversity. 23) The relationship between husband and wife should be one of closest friends. 24) Never leave a true relationship for a few faults. Nobody is perfect, nobody is correct, and in the end, affection is always greater than perfection. 25) On the left side of a strong woman, stands a strong man; he is strengthened by her character. 26) People believe that soul mates are two people that were made for one another. I believe that we were made for someone, but that doesn’t necessarily mean they were made for us. 27) If you would be loved, love, and be loveable. 28) Being in love with you makes every morning worth getting up for. 29) I can’t imagine what my life was before. I can’t imagine ever being without you for very long again. 30) I won’t promise to be yours forever, because I won’t live that long. But let me be yours for as long as I live. 31) 50% of a great relationship is how you treat someone. The other 50% is having the ability and confidence to communicate the treatment you want in return. 32) A man is already halfway in love with any woman who listens to him. 33) Out of all the things that I do all day, telling you that I love you is the sweetest thing I do. It is my favorite part of the day because you deserve all the love I can give. 34) Forever is a long time. But, I wouldn’t mind spending it by your side. 35) The royal road to a man’s heart is to talk to him about the things he treasures most. 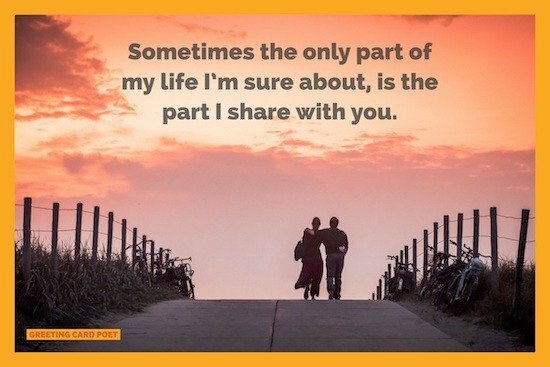 36) Sometimes the only part of my life I’m sure about, is the part I share with you. 37) So many of my smiles begin with you. In addition to being a quote curator, Mike is an author, inventor, and entrepreneur. He worked as president of Magnetic Poetry, creators of the ubiquitous refrigerator magnets folks use to create verse in their kitchens. We put together these sick quotes because of the time of year. The day after the Super Bowl is supposedly the day that more folks call in sick to work than any other day. 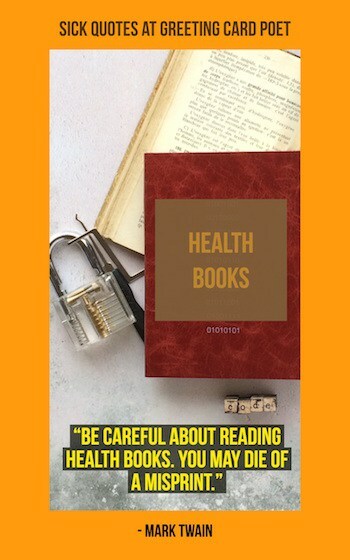 With so much “illness” going around, thought some of you might want to lean on some insights from authors and other notables on the topic. So if you’re feeling under the weather, get well soon – wink, wink. I’m so mean I make medicine sick! You can’t have healing without sickness. What am I drinking? NyQuil on the rocks, for when you’re feeling sick but sociable. Being sick feels like you’re wearing someone else’s glasses. There are two kinds of people; those who are always well and those who are always sick. Most of the evils of the world come from the first sort and most of the achievement from the second. Sickness comes on horseback, but departs on foot. Treat a sick man with the medicine and a sad man with the music. 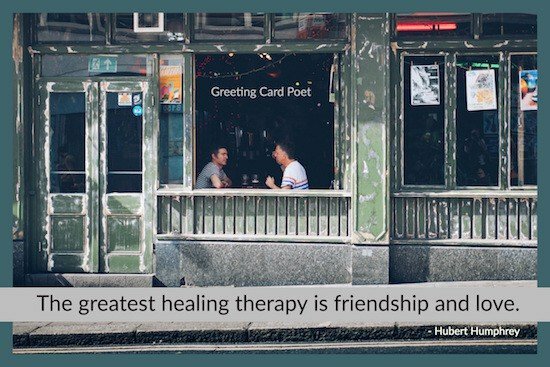 If just knowing that someone cares about you helps the healing process…then you should be feeling better already. 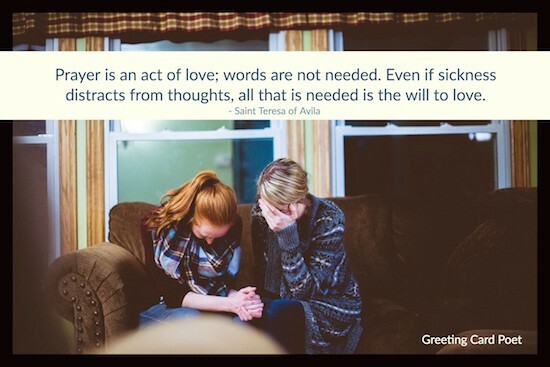 You’re on Sick Quotes page. 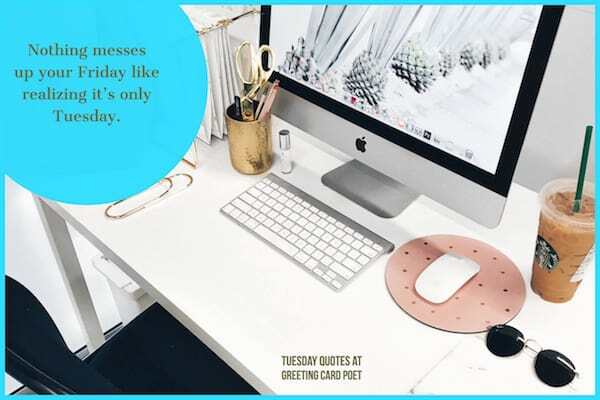 These funny Tuesday quotes are a great way to start a work day at the front end of the week. 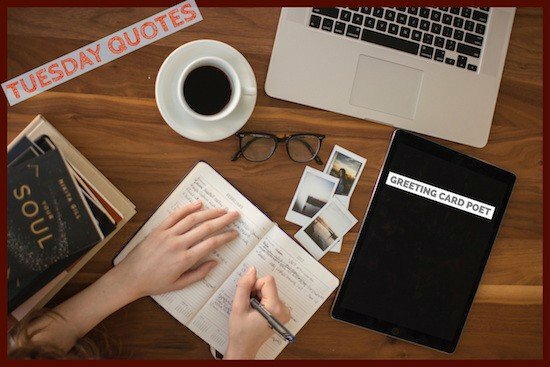 If you are carrying forward your Monday blues to Tuesday, there are so many inspiring sayings to help you get through the day. This day is named after the God of War in different cultures. Instead of frowning about it, turn this day into a great opportunity to do better things and achieve higher success. 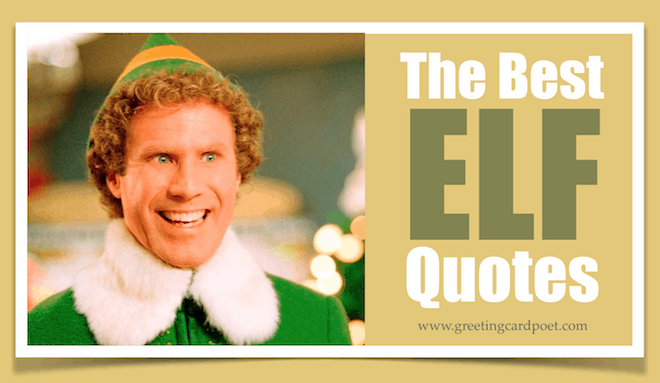 Some of these quotes might make you laugh and others you’ll draw inspiration from. 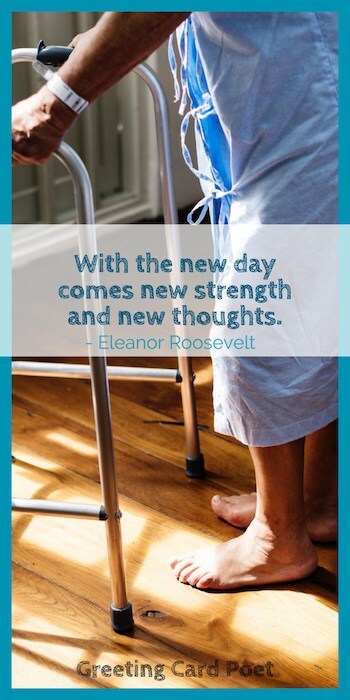 You’ll find great motivation and strength in these words to help you get through your day. Read these quotes and share with friends to help everyone be the best they can be. Tuesday is my favorite day of the week. That’s cleaning day. Ah Tuesday. The day to remember all the things I didn’t get done on Monday- and push them off until Wednesday. TUESDAY – I can’t even see the weekend from here. Tuesday is the day I actually start the week, Monday I just deal with the depression of the weekend ending. Did you know that Tuesday was named for a one-handed god? 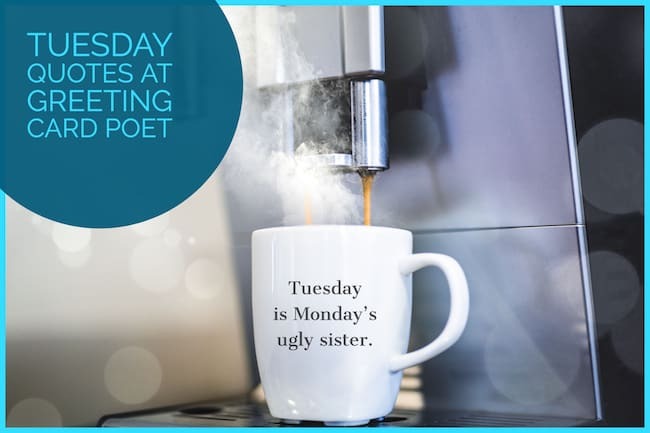 We concentrate so much on anniversaries and birthdays that you forget it’s the Tuesday that’s tough that really counts. Sometimes she just needs some flowers or even just that ear. It’s the little things that count. It’s the regular days of the year that you have to keep your attention on her. Silence is the invisibility of talking. I’d take half an argument over half a silence any day. And I’d take peace and quiet over a full-blown argument any other day, unless it’s Tuesday. 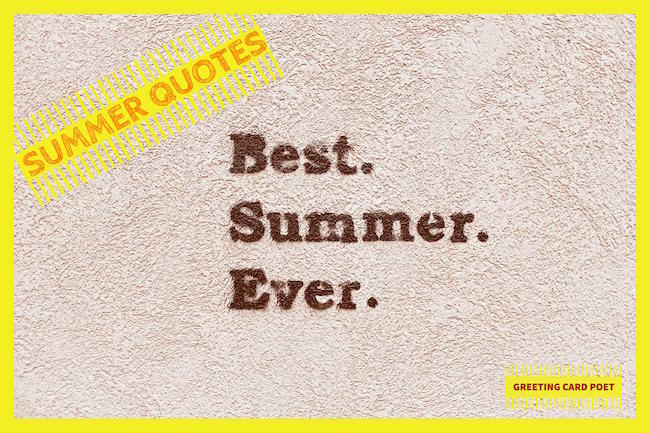 We’ve assembled some of the best summer quotes and sayings for you. A beach is the ultimate destination of most vacations. 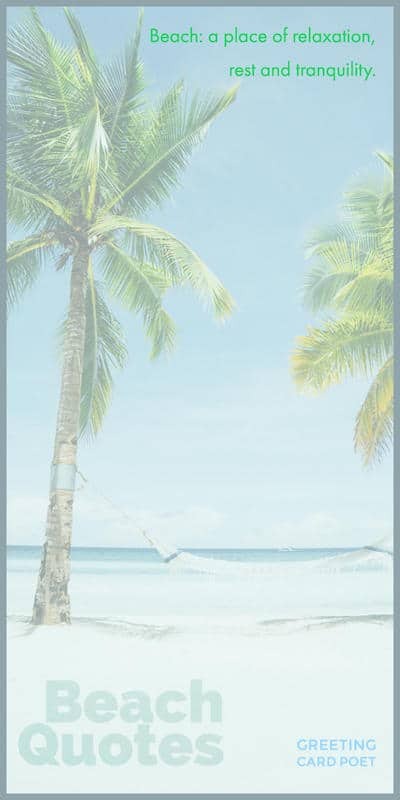 Whether it is a weekend vacation or an annual holiday, most people love to find a beautiful beach where they could find all the relaxation under the sun. You may find many of these quotes and sayings to be funny while others have deeper meaning to them. Some might make for a perfect comment on social media or on a postcard sent home from an exotic location. Total physical and mental inertia are highly agreeable, much more so than we allow ourselves to imagine. A beach not only permits such inertia but enforces it, thus neatly eliminating all problems of guilt. What a boon to live on the water! Such delicious shades and hues! This is a template worthy of the greatest painters. A walk on the beach is a simple activity but its rewards cannot be counted. The sound of the waves, fresh air, and endless sky make us happy and serene. The harder the access, the sweeter the find. Live in the sunshine swim the sea drink the wild air. Long walks on the beach are the supposed holy grail of a romantic evening. The beach becomes a kind of utopia – the place where all our dreams come true. 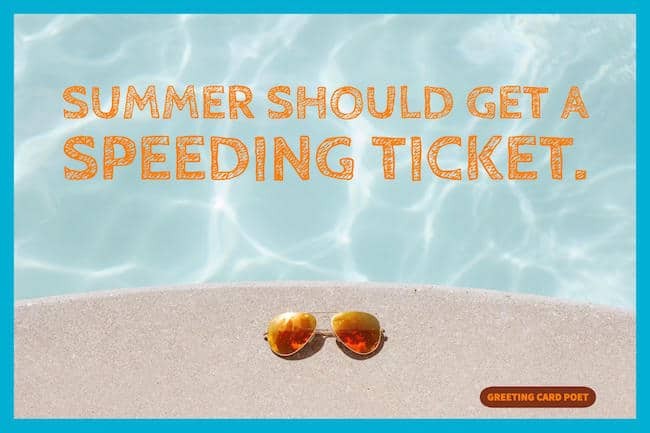 Summer means happy times and good sunshine. It means going to the beach. Beach: a place of relaxation, rest and tranquility. I miss the beach, the peace it brings you. I love the sound and smell of the sea. All I cared about that summer were suntans, beaches, boys and booze. May the inherent stress and peril of unfolding a beach chair not sabotage your plans to relax this summer. Let’s go spend a day at the beach checking our email. The beach is a great place to relieve the soul-crushing stress you build up in the traffic going to the beach. My life is like a stroll on the beach…as near to the edge as I can go. Please join me at the beach to help detract attention from my body abnormalities. I always appreciate you warning me about sunburn after I’ve gotten horribly sunburned. Who first invented work, and bound the free and holiday-rejoicing spirit down? 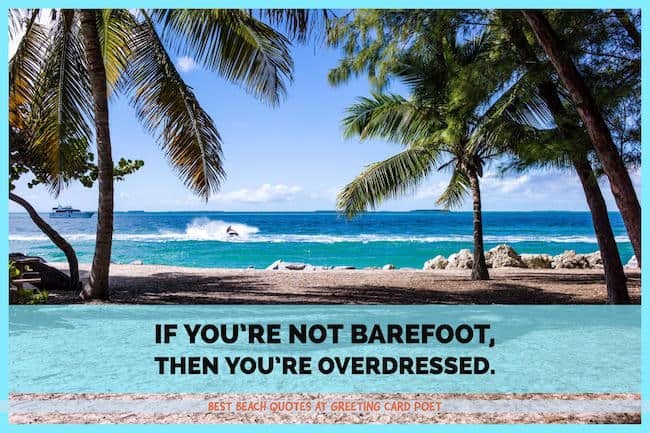 When in doubt, go on vacation! Vacations brighten a man. They tend to make his work more attractive to him and to make him more attractive to his work. Vacation is that time when you wish you had something to do while doing nothing. Holiday: A period of activity so intense that it can only be undertaken three or four weeks in the year. It isn’t how much time you spend somewhere that makes it memorable: it’s how you spend the time. The holiest of all holidays are those kept by ourselves in silence and apart, the secret anniversaries of the heart, when the full tide of feeling overflows. 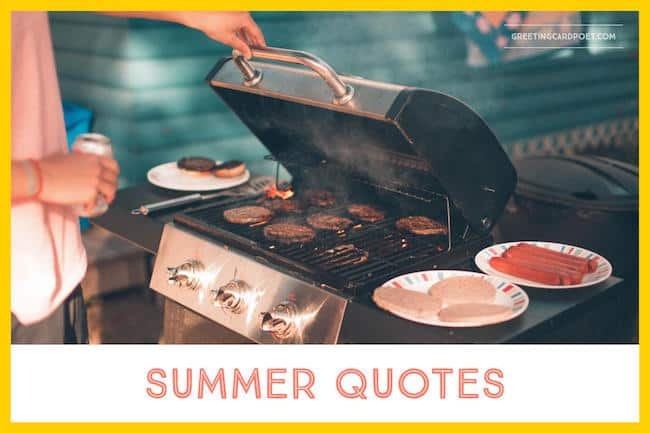 Tip: These summer quotes make great photo captions. Sunlight is like the breath of life to the pomp of autumn. Sunshine is Nature’s hug and spirit breath to the earth. Romantic movies on Valentines Day go hand-in-hand. There is no other day that’s more important for you to spend some great time with your loved one. 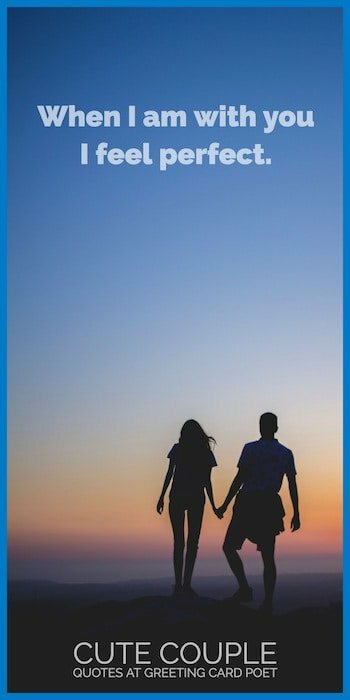 Whether you are going out on a date, to explore some beautiful scenery or to a local attraction, watching a romantic movie can be the perfect way to cap the day. There have been so many romantic movies over the past years, so it helps to have a little guidance when you know you want a good one to watch on an important day. There can be nothing more romantic and make you feel closer to your loved one when you watch some of the most iconic scenes scripted on the screen. 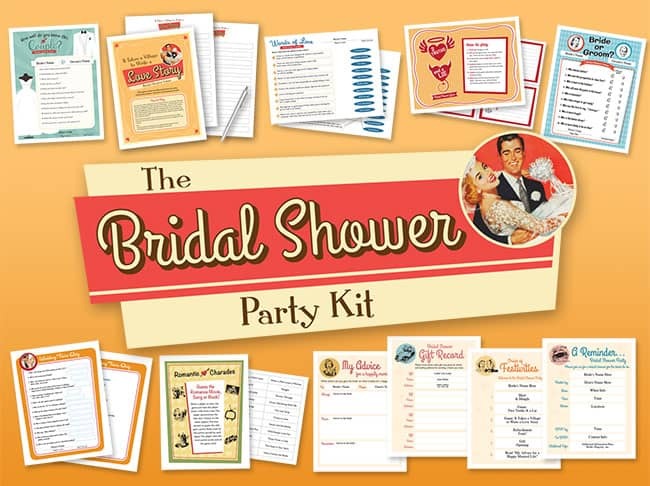 Every tear of joy and sorrow that trickles down watching those moments will bring you closer to your loved one! Here are 15 of the best romantic movies for Valentine’s Day. You won’t regret the time spent watching these entertaining films. It is the perfect boy-meets-girl, fall in love, fall apart and reunite movie. When she meets the guy, she enters a world she has never seen. They spend time as if they have been friends all their lives and never feel there are any differences between them. As with many romance movies, at one point, it doesn’t look like the relationship would last. But, the guy redeems himself with a very memorable gift that shows his thoughtfulness. 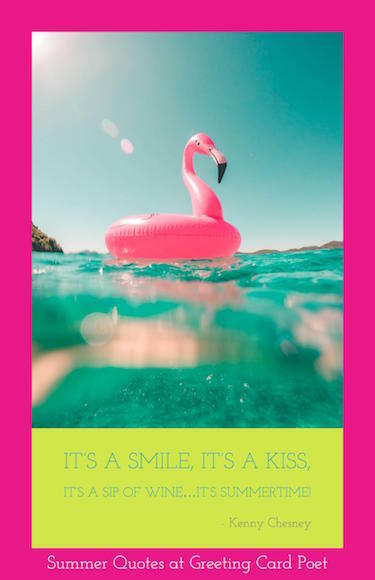 It is the perfect Valentine’s movie to watch together and the song “Molly Smiles” is a winner that you’ll be humming long after watching the movie. Released in 1993, Groundhog Day is one of the sweetest romantic movies to watch with your loved one on Valentine’s Day. The drama takes high turns while still having lots of comedy elements. Phil Connors, played by Bill Murray, is an egomaniac who has no love for anyone, except himself and is reliving his mechanical life every day. Things turn for the better when fate brings together two people to break the monotony of his life that keeps repeating the same mundane routine again and again. The movie shows that at times there’s only one person out there who can take you out of your otherwise dull and boring life. Phil is a weatherman who is stuck on a day and keeps experiencing it again and again. It is up to him to try his best to become better. This movie is not just a romantic comedy that will leave you and your loved one laughing out your hearts. It also has a deep message that will move you more than you would expect. This 2005 romantic comedy has its scenes where you can be left with those moments where you thought it’s all over, but then you will realize that love is magic and if it was true it always comes back. But that is not the central theme of this movie that although being different, didn’t garner any big awards. Alex Hitchens, played by Will Smith, has a unique job – he is a professional dating consultant who teaches men how to woo their crush. In other words, he is the “date doctor”. Albert (Kevin James) is one such client and Alegra Cole is his crush, a celebrity. The story takes you through lots of uneasy fun as the date doctor tries to tech a lot of wooing-stuff to an adult, while also having his own affair with Sara Melas. Somewhere along the line this romance movie touches on the hearts of millions of nice guys and nerdy men, and puts a lot of women on the back foot while making them realize how easily they ignore such wonderful lovers. The movie will leave you with a striking truth in the end, along with lots of love and kisses and getting back together! When Harry Met Sally is without any doubt the most adorable romantic comedy of the 1980’s. Sally, played by the bright Meg Ryan and Harry, by Billy Crystal, take you on a decade long journey of their love as they move from acquaintances to friends to lovers. The chemistry between the duo will grip you like anything, and you could ask so much more out of your own love life. This is a must-see romantic movie on Valentine’s Day. Love, Actually has eight couples who are living their love life in different ways. It is the combination of a Christmas film and a romantic comedy, and has some wonderful moments you will remember for long. If you want to laugh and cry at the same time, you should watch this movie this Valentine’s Day. Is Love Actually one of the best romantic comedies of all times? It does qualify! This is one movie where you will see love confessions of all kinds. What would you do if you find as a newly married woman that your hubby’s best friend has a crush on you and comes to reveal it to you? There are 8 such couples dealing with odd relationships, but the movie never makes you feel awkward. It’s both heart-warming and sweet even when revealing intricate relationships. Once you watch Bridget Jones’s Diary, you would certainly feel that no one could have played the role better than Renee Zellweger. She’s so charming and her crush for Hugh Grant and then for Colin Firth will take you through a journey of beautiful love amid her eccentricity. 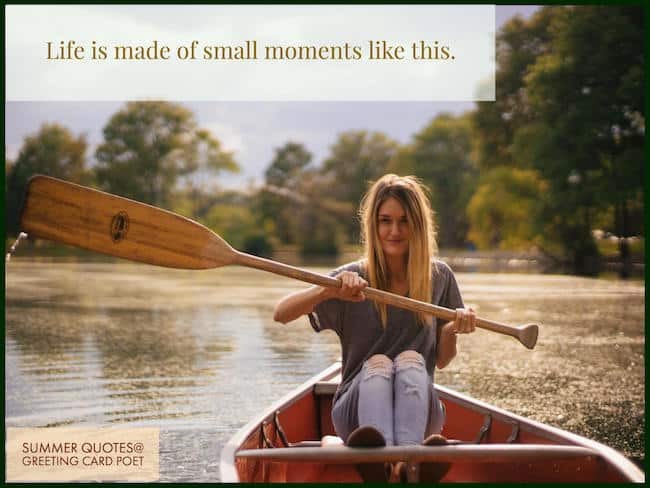 There are those awkward moments – her poor public speeches, singing along with sad songs and much more to keep you glued to this masterpiece of a romantic movie. Want to enjoy Shakespeare in all his romantic glory? This 1999 romantic flick makes one thing clear, the great writer’s work was timeless. This teen movie reiterates the same old truth about love. It can befall anyone, even those who never expected it or wanted it in the first place. When Cameron James falls in love with Bianca, her father objects with the notion that she can date only when her older sister Kat also finds someone. James pulls in Patrick Verona to court the older sister by bribing him for the job. But Verona and Kat’s story ends up in falling in love with each other when he finds that they have a lot in common. The movie has its wonderful moments when the romance-meter touches the highs. The serenading of the girl from the football field stands – “You’re just too good to be true” – is a one of the best romantic scenes of all time. 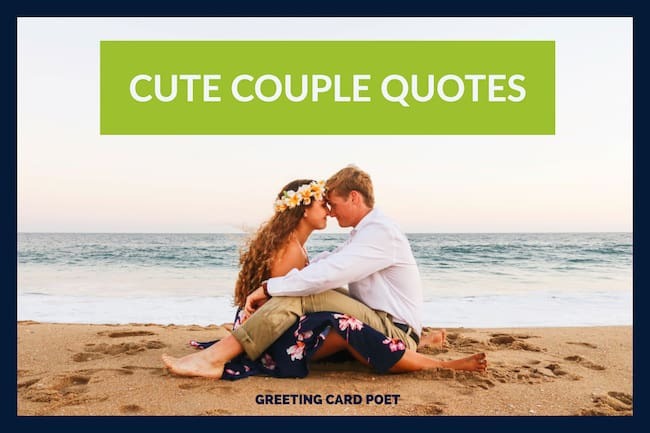 Check out these loves quotes for your Valentine’s Day card. Notting Hill is a 199 romantic comedy that takes you through a world that most can only fantasize, but there is something in the movie that is closer to heart. Julia Roberts is a rich and famous American actress who lives in a beautiful London neighborhood. While walking in the street, she collides with Hugh Grant and has orange juice spilled all over her. Whether its orange juice or love at first sight that she’s covered in, the movie takes you on a journey of romance you would not want to miss. This is another must-see romantic movie for a great Valentine’s Day! There was a time when Tom Hanks was too cute. That was back in 1998 and the movie was You’ve Got Mail. This is not to say he wasn’t cute in many other movies. This is a lovely movie that becomes even more special as it buds from an email relationship. Joe and Kathleen may be rivals out in the world, they start falling for each other when they start communicating through email leaving each other romantic messages. They deal with many of their online dating issues using the communication medium and gradually their relationship evolves out of the tech-medium. You would think this is another rich-girl-poor-guy love affair, but there’s more to this 2004 romantic movie. Allie (Rachel McAdams) and Noah (Ryan Gosling) meet each other at a carnival and that is where their young love starts. However, Noah’s fortunes fail to impress her family and they make sure that they name come together. If that sound like an ordinary romantic movie, The Notebook is not. There is so much more and deeper to it. It is a lovely story of an old man who is in love with a woman living in a nursing home. It takes you back in time to the place where that love story began. When the man reads to the woman, she finds a deeper connection with the story and his love, who was a woman with the same name as the old lady. This is the perfect Valentine’s Day movie to watch with your beloved! The Titanic doesn’t need any introduction, as it is one of the most popular romantic movies of the past two decades. This 1997 romantic tragedy tells a love story that ironically dwarfs even the largest boat of its time. Jack (Leonardo DiCaprio) wins Rose’s (Kate Winslett’s) heart who is already betrothed to a man, while on a journey from England to America aboard the Titanic. As Rose takes you on the journey back in time, you cannot help love the elegance and richness of the ship and her love affair with the young and wild Jack. 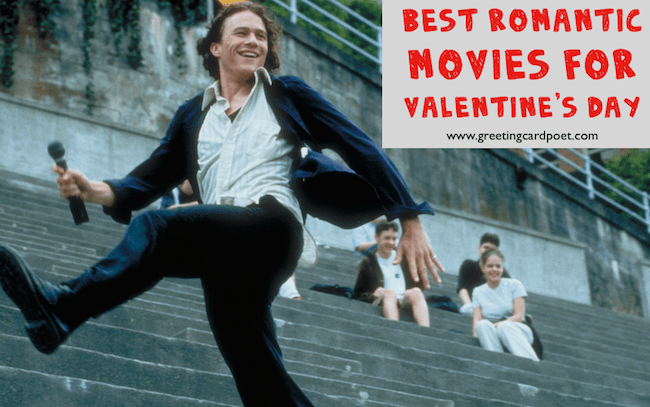 There is almost no one who may not have seen this movie, but Valentine’s Day is the perfect occasion to rekindle the passion that this film ignited in your heart when you saw it first! Sleepless in Seattle is another great romantic comedy starring Tom Hanks and the magnificent Meg Ryan. The movie has a Valentine’s Day in it too, making it the perfect movie to watch on February 14th. It all starts with a kid calling a radio station to find a new wife for this father. And this call culminates in the couple meeting each other atop the Empire State Building on the Valentine’s Day. This 1952 film musical is among the most loved movies of its kind and set the standards for the future of a whole genre of movies. This is a wonderful and charming film filled with amazing dances, songs and flashbacks. The characters in the movie express their love and emotions through songs and dances while living their lives. And most of the film has musical numbers being used to express their passions of love. Singing in the Rain is a timeless romantic movie and will brighten up your day. Roman Holiday is an elegant and funny romantic comedy that created a lot for modern romantic movies to take inspiration from. Audrey Hepburn is a princess who falls in love with Gregory Peck, an American reporter. And what would it feel like if a princess wants to live like the common people? When the Princess Ann visits Rome, she sneaks out to see how the common people live. She tags along with Peck to explore the sights, but falls in love with him. The movie has a beautiful message that you can find happiness that can last forever in your heart. If you have not seen Casablanca, make sure it is on your must-watch list this Valentine’s Day. It is the ultimate masterpiece in romantic movies. What makes this movie even more special is that it has continued to improve with age. Casablanca is a wartime romance movie. Rick Blaine, played by Humphrey Bogart, has a nightclub in Casablanca. Living in the time of the World War II, Rick (the former freedom fighter) is also engaged in the business of helping refugees make their way to America. With Father’s Day upon us, have you ever wondered What to Write in a Father’s Day Card? Once a year we celebrate Father’s Day on the third Sunday in June. For many families, it’s all about traditions. A favorite meal is served. Dad gets a pass from chores for the week. Perhaps there’s a family golf outing or Dad golfs with some friends — with no complaints from others. 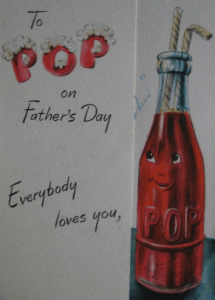 Father’s Day came about in 1910, two years after Mother’s Day. A single father who raised six children was celebrated at a YMCA in Spokane, Washington. Traditional gifts for Father’s day include a tie, socks, a book, a golf club, shirts, candy and more. By the time a father has kids old enough to buy gifts, he might have many of the necessities met, so buying a gift for him can be a challenge. Brookstone, the mall store with unique gifts, was apparently developed developed with Father’s Day in mind. Any great gift needs to be accompanied with a Father’s Day Card. Then the true challenge begins. What do you write a Father’s Day Card? I take some comfort in knowing that in my younger days, I set a family record for time outs — signed, your #1 son. Dad, you’re the best banker I ever knew. Love, your favorite daughter. Or, perhaps add your own message with a favorite quote or two. So, there you have it. Now you have some suggestions for What to Write in a Father’s Day Card.